After an afternoon trip to the beach we'd planned to head to Hunky Dory for some fish and possibly chips, but on getting within a few yards it became obvious that a good chunk of Port Melbourne had had the same idea. The big queues to order and lack of table space put us off, not the ideal way to end a relaxing Sunday! The Emerald Elephant Thai restaurant was next door and we decided after a look at the menu and a couple of reviews to give it a bash. The cool interior was welcome on the warm day, the place felt clean and tidy if not particularly cutting edge. We were told we could sit anywhere and then had our menu's were delivered by a seven(ish?) year old girl, I'm assuming a relative of the owners or staff! She seemed quite blasé about the fact that she was 'working' there which made it seem a bit more odd. There were a few other tables occupied and several people came in to pick up takeaway while we were there, but it was an oasis of calm compared to next door! 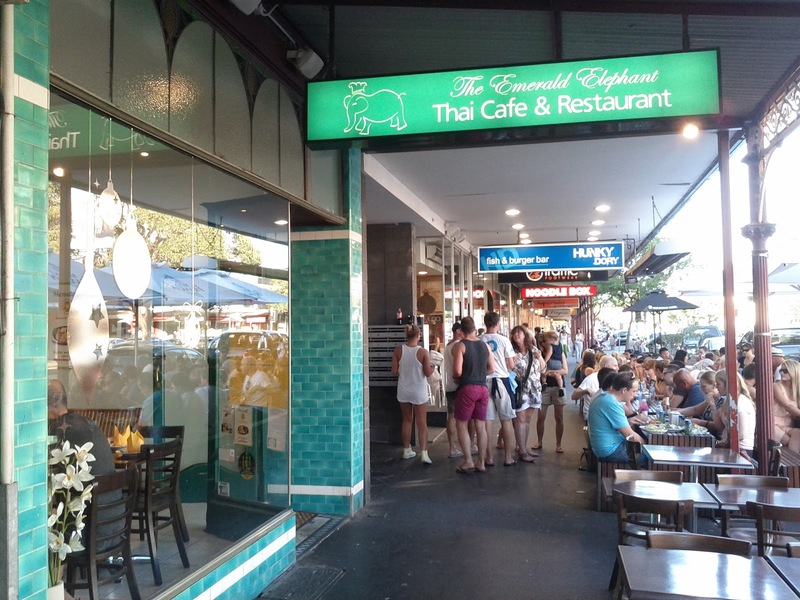 The menu contained plenty of well known Thai dishes amongst a good range. We went for the classic fish cakes. 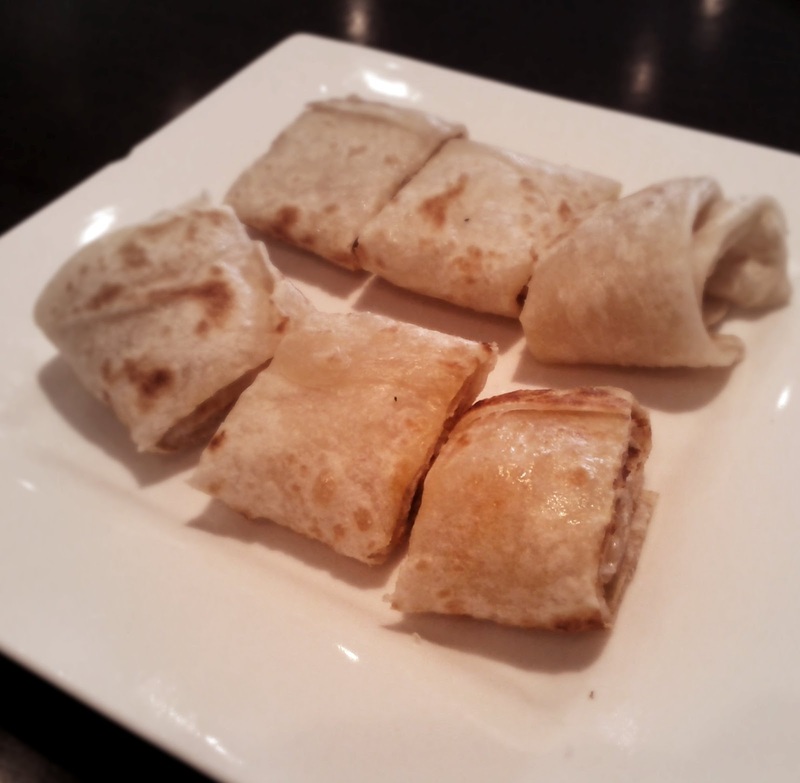 These were well executed with the texture not being too rubbery and delicately flavoured. 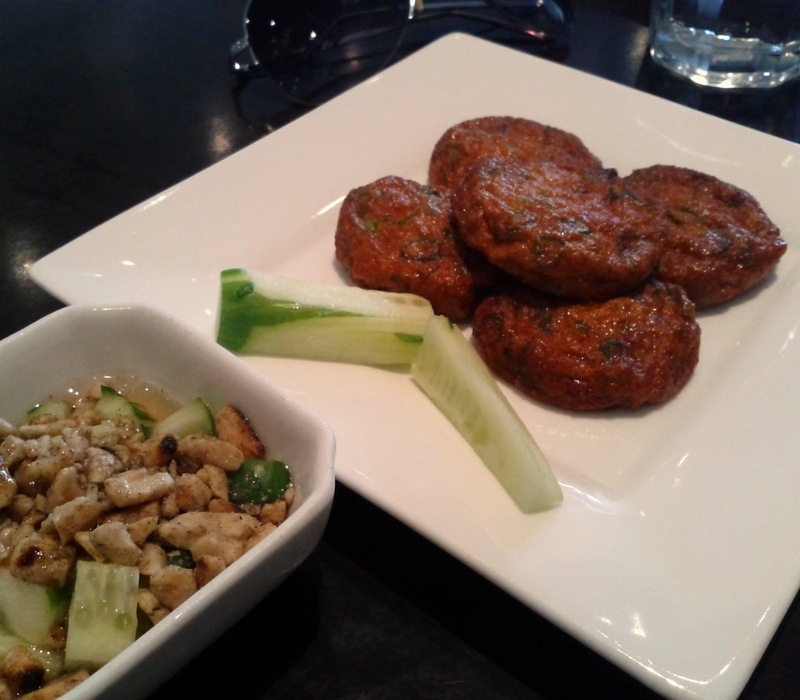 They came with a mild sweet chilli sauce topped with broken peanuts and cucumber cubes which worked well. 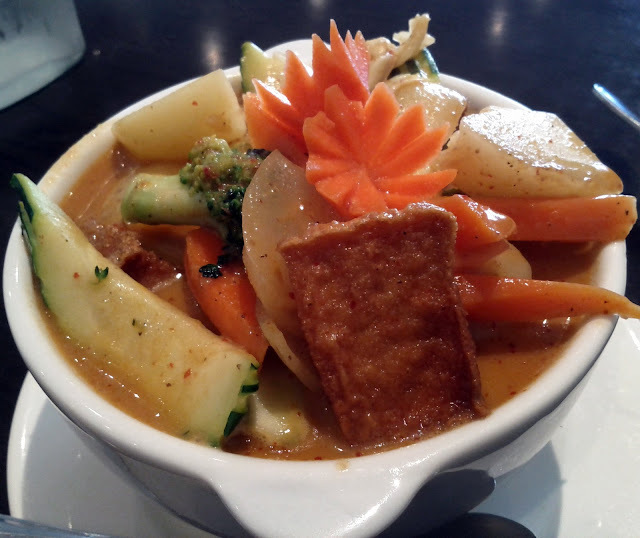 I'd selected the veggie massaman curry, which is a favourite of mine I don't get to cook that often. 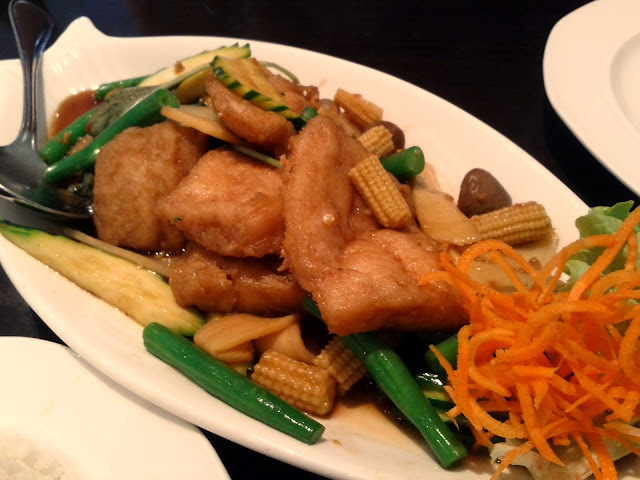 This version had a little less of the peanut flavours with the spiciness and sweetness coming through more strongly, and had a general lightness and was packed with plenty of fresh vegetables and tofu. The flavours in the fish Pad Kee Mao certainly seemed authentic for a Thai stir fry, and more bitter flavours contrasted with the massaman. The fish was lightly battered and nicely cooked and the whole chillies certainly packed a punch. The roti, was quite light in a good way. Overall the meal felt healthier than some Thai meals I've had. 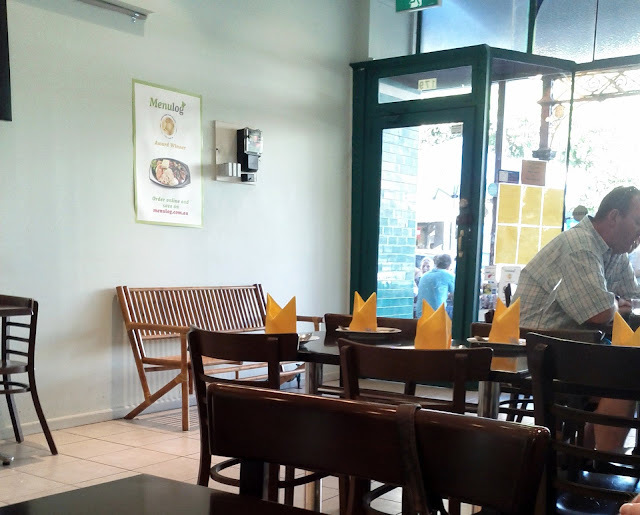 Our orders were taken and dishes were served by friendly (and adult) waitress, although when it came time to pay the young girl was in charge of the EFTPOS machine, all up the food came to $42.30. I think we would give it another try if we were looking for Thai in the area.